Home > Products > Nip+Fab Glycolic Fix Daily Cleansing Pads - 2.7 oz. 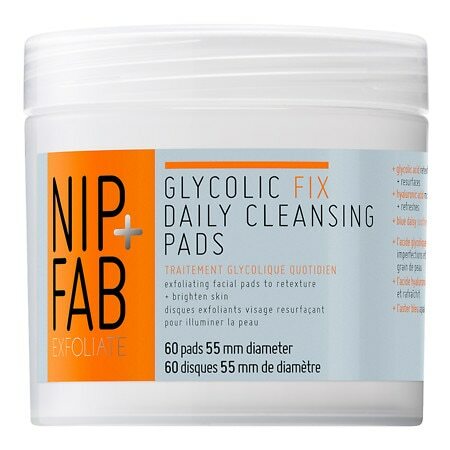 Nip+Fab Glycolic Fix Daily Cleansing Pads - 2.7 oz. Unveil younger-looking skin. 60 radiance-boosting pads, soaked in exfoliating glycolic acid retexture + resurface skin whilst witch hazel helps to tone. This moisturising formula with hyaluronic acid + soothing blue daisy helps to reveal brighter + smoother looking skin. How similar is Waffles's skin with yours? Take the Skin Assessment to find out how similar you are and find your SkinTwins. How similar is johnie's skin with yours? Take the Skin Assessment to find out how similar you are and find your SkinTwins.